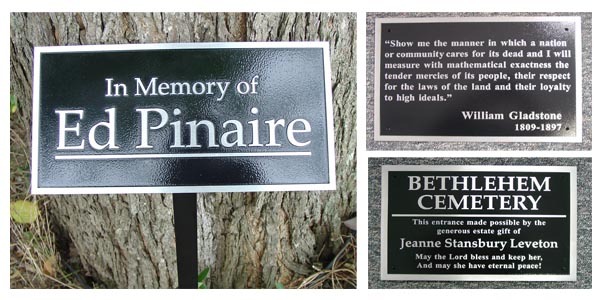 We offer cast aluminum plaques for a permanent display of your logo or message. This product comes in a variety of metal finishes and colors. Outdoor durability is tops, and the cost may be less than you think.